We have been walking all over Brooklyn these days, and there they are, the blue lips of the season, EVERYWHERE! We love TheGloss.com‘s feature on the topic, and think they covered how to do it in up, in a classy blue way. Are you bold enough to try it? Let us know! 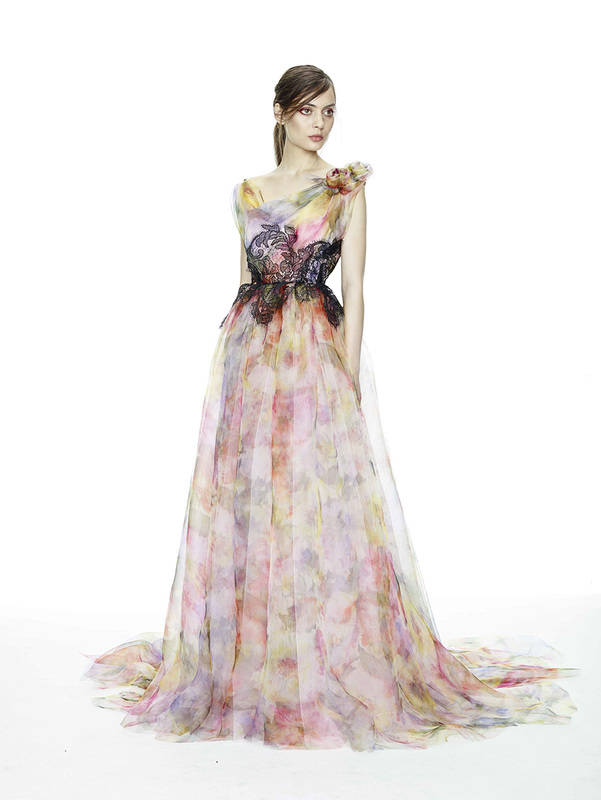 Marchesa’s 2015 Resort collection is a grouping of lacy, floral, and colorful confections that look good enough to eat. But don’t eat them, dream of wearing them. Georgina Chapman and Keren Craig have outdone themselves this season, and we expect that many a starlet, model, and socialite will be singing their praises and looking delicious in Marchesa. All photos courtesy of Vogue.com, from Marchesa. Really. We want to know! This series of “Fashion Pun” illustrations by Campbell Pearson is brilliant. We especially love “Clogged”, because we would often rather drown our clogs in the sink than put them on our feet, they’re so ugly. #RadicalSelfLoveJuly Take the Challenge with @GalaDarling! Gala is a self love guru, and a beautiful person, inside and out. Her Self Love Instagram Challenge for July is inspiring and fun. We’re going to try it! We love Nick Verreos, and we love Oscar Lopez. What we love even more is that the first winner of Lifetime’s “Under The Gunn” and his mentor from the show are part of a beautiful spread in the July issue of Marie Claire. Click the photo for a link to Nick’s blog, and get your copy of Marie Claire now! It looks as though Maria Kanellis is auctioning off her Chris March designed outfit from Project Runway. It was worn in the ring during her time on WWE Divas, and on Project Runway as part of the WWE challenge. We were intrigued by so many things about this, we had to comment. Firstly, you can SELL the garments you get on Project Runway? Also, we can OWN a Chris March costume for the bargain price of $325? PR designers, we have a list of garments you can put up on Ebay for the taking…Oscar Lopez, we’re talking to YOU!